A researcher from the University of Warwick – who is working on water quality monitoring with carbon materials – has been awarded the new Royal Society Innovation Award. 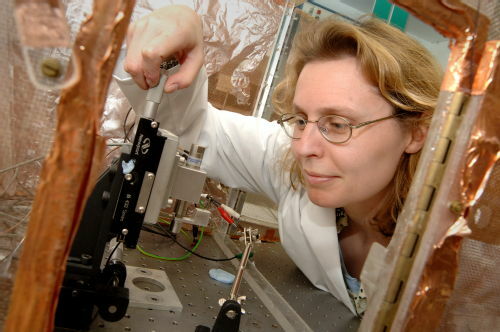 Professor Julie Macpherson from the Department of Chemistry, and her team, have been investigating a new carbon material – synthetically grown boron doped diamond (BDD) - for its electrochemical sensing capabilities. This material could be used as a pH and chlorine sensor for water quality control and safety. BDD has all the material attributes of diamond – non-corrosive, scratch resistant, but can electrically conduct due the boron. This enables BDD to be used as an electrode and placed in solutions other more traditional electrodes, such as metals, couldn’t survive. Currently, the most widely used pH sensor is a fragile glass bulb pH electrode which is based on technology that is over 100 years old. The award is given to scientists to develop a proven novel concept or prototype into a near-market ready product – and Professor Macpherson will receive £250,000. The research is being undertaken in conjunction with Professor Mark Newton (Director of the UK’s centre for doctoral training centre in Diamond Science and Technology) and the industrial company Element Six. 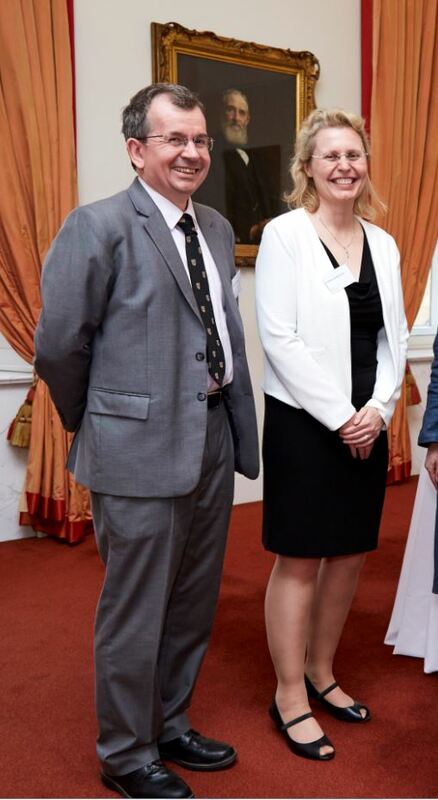 The prizes were presented at "Labs to Riches" on 30 March - an event which focused on the role of science in the UK’s industrial strategy and contribution to economic growth. The evening brought together leading scientists, engineers, industrialists and policymakers to celebrate the achievements of some of the UK’s most innovative researchers.